PowerShell CTPs are great. 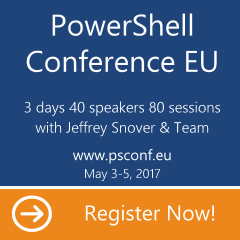 When I started to use PowerShell on a daily basis it was already v2 CTP2. And that is the main reason why I know very little about v1 It was just so much better experience… Same happens now with v3 CTP1. Once I saw it’s coming – I started to look for a way to get all requirements on my primary machine. I haven’t really played with stuff that is new in version 3 – like workflows. What I concentrate on is stuff that got improved from version 2. And from my perspective there are few I simply could not ignore.